I have put off giving my first impressions on Battle for Azeroth for a number of reasons but primarily it’s because I have just been playing as much as I can, trying to soak it all in. I have mostly been playing my main and have barely touched other characters accept to test out some ideas about the Horde side of the expansion and to play a little levelling on alts with friends. So I suppose the big question is what do I think? Instead of waiting until the end of the article I’ll say right here, I am loving this addition to World of Warcraft. Battle for Azeroth is Blizzard Entertainments seventh expansion and it just keeps getting better with every release. Don’t get me wrong all is not perfect but, in my personal opinion thus far, Battle for Azeroth has had the best opening round of any expansion to date. It hasn’t been the smoothest opening as there were plenty of server issues but it still remains the best for content, story and design. World of Warcraft’s original map design was always one of the best things about the game a nd Battle for Azeroth doubles down on that original design ideal whilst bringing it into the modern game brilliantly. 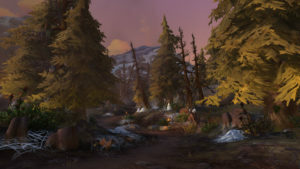 The zones Blizzard Entertainment presents us with are very well realised with broad open spaces, huge mountain ranges, proper dense forests, swamps and so much more. It has been breath-taking moving from zone to zone and interacting with the denizens of the land. 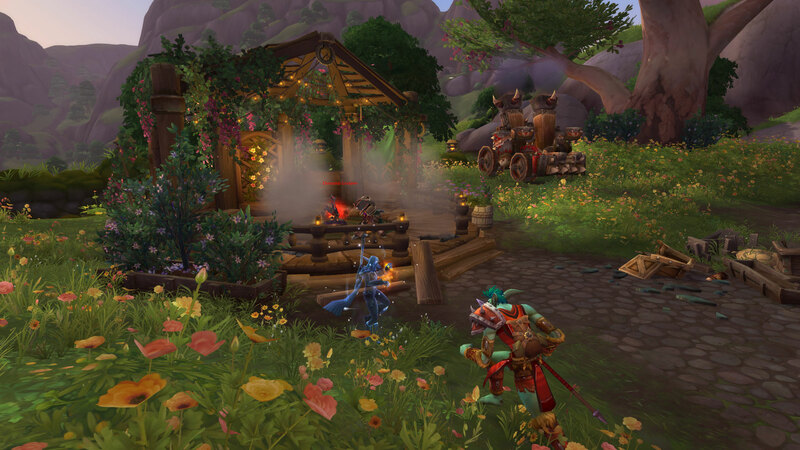 Gone are the cramped enemy dense zones we have been playing in since Cataclysm. This expansions world building feels more grounded in what one would expect from a ‘living world’. Everywhere there are areas of serenity and calm that blend seamlessly into areas of danger and discord. For me this has probably been the absolute best part of the expansion so far. I feel like exploring again, much like I used to back in Vanilla. Nothing is constantly on you so you have time to breathe and reflect, time to soak in the sights and sounds as you move towards your objectives. I personally play with unit frames off. I like having to take my time and see if what’s in front of me is friend or foe. In Legion this did not play out to well as there was no place you could just wander where something wasn’t trying to kill your character and that, for me, killed of any desire to explore. 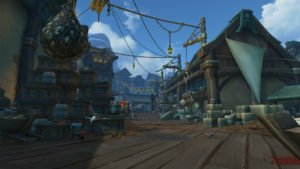 This improved world building greatly impacts other aspects of the game like archaeology, pet battling and resource gathering. They all are really enjoyable again. With more open space and less dense mobs not every pet battle has to have the area surgically cleared so as not to kill the pet or be killed by surrounding mobs. Nor do you constantly have to defend yourself as you gather resources or wander an area digging up those little baubles in the hopes of finding something fun and rare. There are still moments where pets need to be carefully extracted and times you will just run into a pack of angry mobs but they are more balanced with the times you won’t be which only adds to the sense of immersion in the game world. 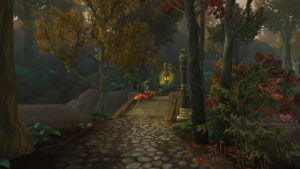 I really do hope we see this level of world building continue in World of Warcraft! Next I’d like to touch on the stories and some interesting observations. The stories have been amazing with brilliant cut scenes and some amazing voice acting. I started this expansion playing Alliance with my main Wildeheart and have felt overjoyed with my decision to return for this expansion. 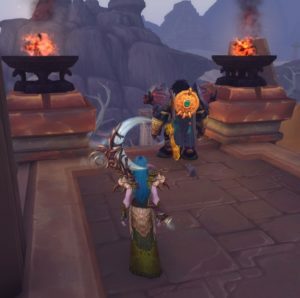 Her personal story has really blended well with where Blizzard has moved the story so far and I really know I would not have enjoyed this as much had I remained playing on the Horde side. 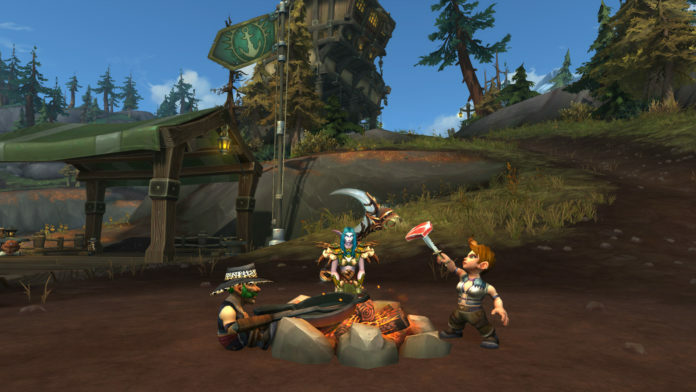 For me the overall feeling of the zones and the questing has been brilliantly crafted and decidedly faction based. This has led to a recurring theme for me in the week plus Battle for Azeroth has been out. 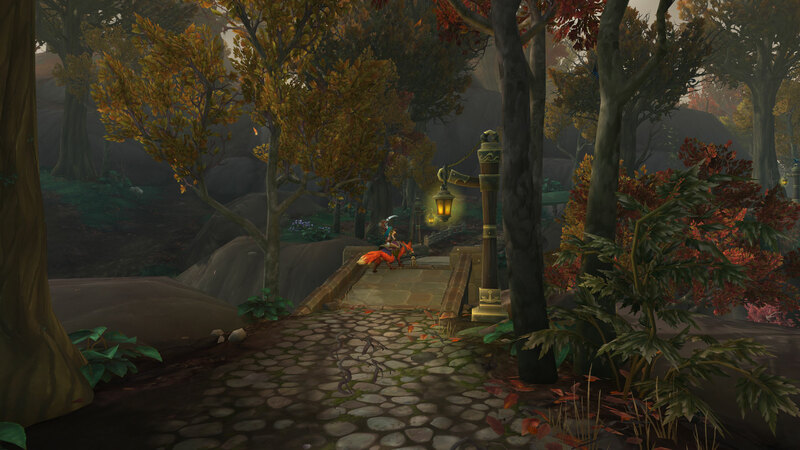 That theme is how much the psychology and aesthetic of both the Alliance and Horde’s questing zones impacts player enjoyment. Most people I have chatted with have truly loved their starting experience and for the most part enjoyed the majority of their stories. For a very few though this has not been the case and they have been left feeling completely unengaged and lacking enthusiasm. I found this quite hard to believe as it was at such odds with the majority of people I had been talking to. So I decided to put a little more effort and time into figuring it out by play some Horde stuff and having more conversations with friends about their faction choices. 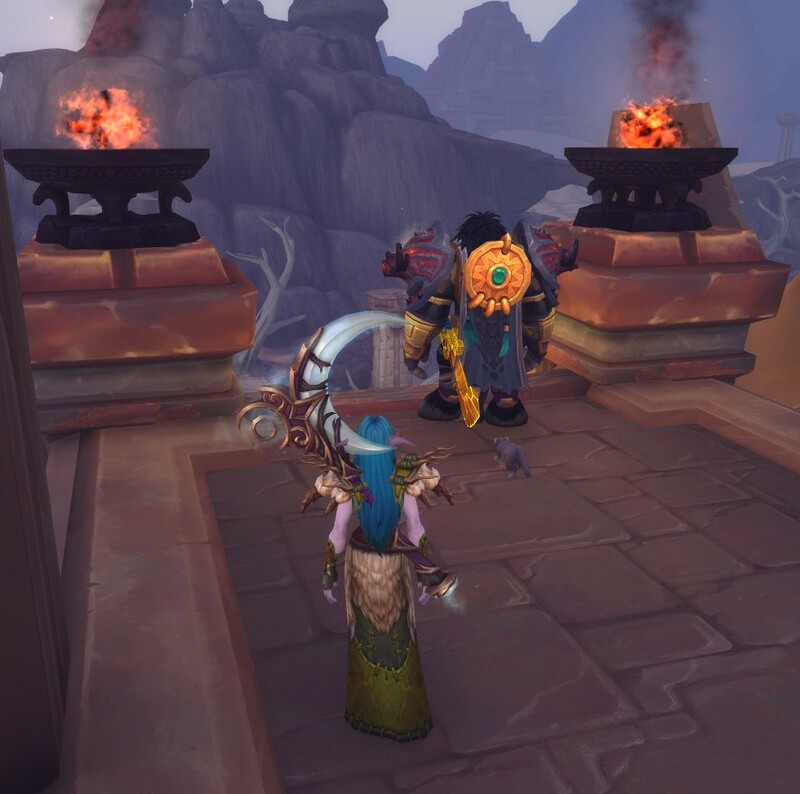 It did not take me long at all to come to the conclusion that if you are not enjoying Battle for Azeroth you simply are playing the wrong faction. Or you could be burnt out and need a break from Warcraft but most likely it’s down to faction choice. For those people that have given the idea of trying the opposite faction it has worked they seem to be enjoying the story and are more engaged in the game again. This is obviously not science or anything just some interesting observations. So if you are not enjoying the expansion maybe give the other faction a try. Oh and please let me know how you fare I am really curious how this faction design plays out for people. The cut scenes and voice acting have been incredible. 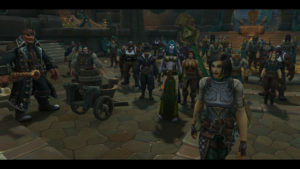 I think Blizzard Entertainment heard we liked cut scenes so they gave us more cut scenes with our cut scenes. There is definitely a fine line between too many and too little cut scenes and there are a couple of moments where they come quite close but not once did they cross that line for me. All the cut scenes were amazing and simply added more to the story telling. There were far more scenes that played out with your character directly involved in the cut scene. Involving my character really makes me feel involved in the story. 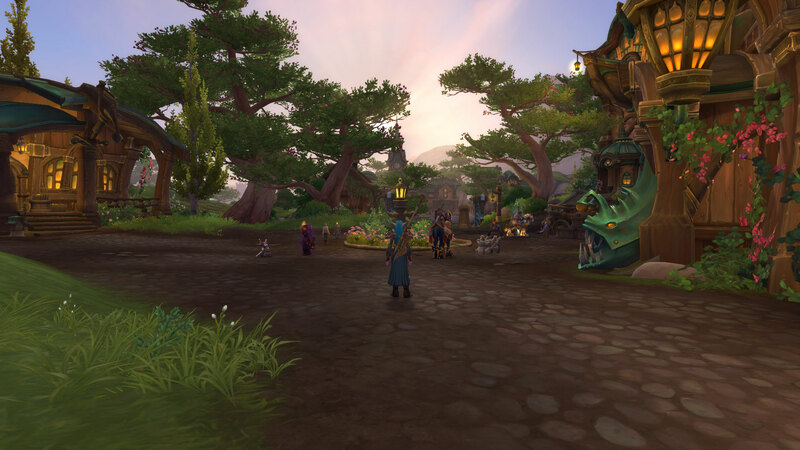 Sure there is still a lack of player agency in World of Warcraft. Nothing I do really changes anything in the game and it is still a theme park but having my character be directly injected into that helps to invest me more into where that story is going. Now I know I have been gushing over the expansion nearly this entire article so let’s step back a bit and look at the not so good side so far. Let’s start with flow, the stories of Battle for Azeroth have had a very rocky start with the pre-launch events and much of that roughness still exists. There are many things that seem to have been left hanging and we have not heard much on how these things will be handled in the story. These include things like, where are the Night elf leaders and what is to become of all the displaced people? For the Horde their War chief has acted in a way that some hail but most revile. Many players struggle with what their characters have basically been forced to do. Leaving them feeling they are not in their idea of what the Horde is or should be. It’s tough and uncertain times for both factions. When we look at the new expansion itself some of the zones stories don’t flow either. Most of the main stories and side stories have been fun and a great experience but there is a decide lack of bread crumbs to entice the player off to side quests and many of the quests are very isolated little stories with nothing else around them. 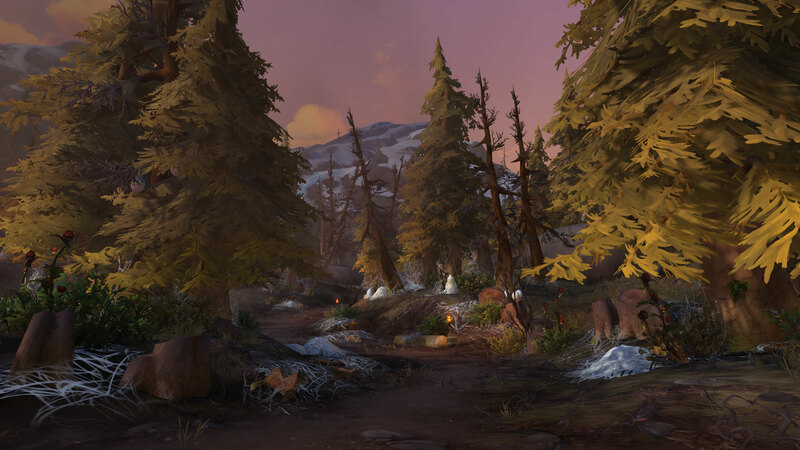 For me Stormsong Valley best epitomises the poor flow of the stories in Battle for Azeroth with the main story sweeps you along cutting a swath literally through half the zone. The story told was rich and engaging but once completed you realise you’ve missed so much of the zone. All other zones have this to varying degrees as well. I suppose in some ways this leads to more exploration but it can feel very jarring at times. Gating, ugh, how this can be such a sore point still? Blizzard seems to think gating stories behind systems they want to get people to play is still a good idea. Not everyone will have access to Mythic 0 content directly through a guild and since there is no way to randomly queue for this content they may not see it for some time. Sure there is group finder but that can be frustrating in a game where playing more difficult content will naturally lead people be more discerning of the player, their achievements and their item level when they are choosing who to bring along. Still this is where Blizzard Entertainment has decided to put the finale to one of the faction stories. It is sad really as the players that have the means blast through and those that don’t have to deal with it all being spoiled for them. It is nearly impossible to keep things like story endings from leaking out. Everything seen in game is instantly talked about in trade chat and immediately pushed to multiple media sources. Even Blizzard has taken to spoiling the game’s story on their own youtube channel. Blizzard, please stop gating story content like this! Another major sore point has been player power. Never before have I played through an opening to an expansion only to reach max level and feel far worse off than when I started. The power and survivability of some classes just falls flat once you hit max level. Stat weighting can seriously impact some classes and with all the new npc scaling tech it can be a disaster. My balance druid feels incredibly weaker than it did when I started Battle for Azeroth. Yes my item level has gone up but my stats are all backwards. I have no haste to speak of with a class specialisation that needs haste to feel any sort of power. To compound the problem survivability, at least for my boomkin, is mostly tied to the new Azerite gear. On the surface this may not seem too bad as you get a lot of it and you get it at a decent upgrade rate. Where the fail comes is in how the talent on the gear and the level of your Heart of Azeroth interact. The skills in the gear are laid out in tiers and in the gear, so far, the damage reduction talents are in the second or third tier and these tiers are gated, there’s that word again ugh, behind the level of your Heart of Azeroth necklace. What this often means is you get a new piece of Azerite gear that is a major upgrade but whilst you can immediately activate the first tier for more power you may not have a high enough Heart of Azeroth level to unlock more. In order to go up in power you have to discard the piece of gear you most likely had enough levels in to get the survivability talents. In a game world where everything scales to your item level this can be a disaster as you upgrade your power but lose your survivability just as the mobs gain more of both due to your higher item level. Sure you are hitting them harder so the upgrade in their health isn’t the end of the world but they also hit back harder and your character has lost their defensive power. This is where players are continually feeling weaker even though they should be feeling more powerful. Anyways despite the few things wrong, and I know I have not covered them all, Battle for Azeroth has come out very strong and for the most part has drawn me deep into its stories. I am really looking forward to where Blizzard Entertainment is taking us and I’m enjoying all the excited speculation I hear daily. For me this has been the best opening for an expansion yet as far as content, story and world design goes. So here’s to hoping we go from strength to strength as the expansion plays out. Until next time adventurers, Shaha lor’ma. 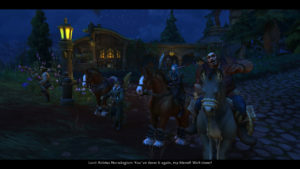 Previous articleBattle for Azeroth: First Impression in Pictures! I think that I am most happy about is that I can see where I want to go on the map and I can point my character that direction and simply: go. Sure, some things are twisty like mountains but that makes it fun now instead of it always being that way and a burden. Great read. Worth to wait for 🙂 I agree with all you have said, really. I cherish the open land so much. Oh and the side quests. Gosh, they are great. If I was playing Horde, I would not feel this way at all, so I think there is truth to what you are saying about picking the right faction. I saw all the cinematics and cut scenes recently on Youtube for Horde, and I just lost interest, almost right away! O.o Something that genuinely surprised me. 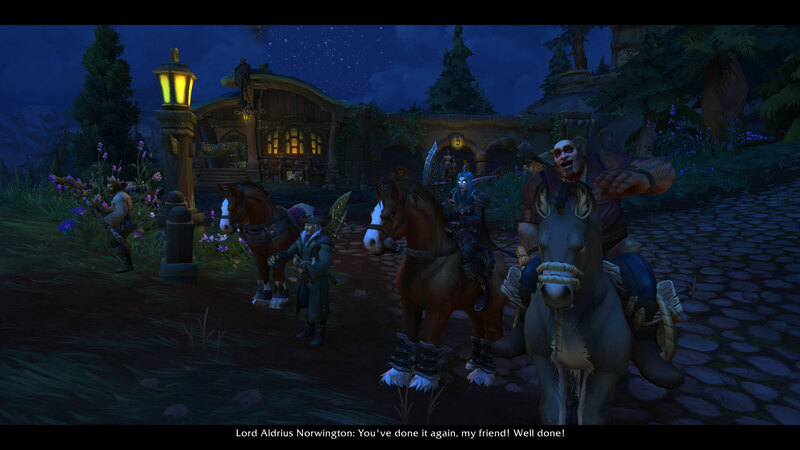 But also, a part of me really wants to see Sylvanas, Tyrande, Malfurion, Saurfang etc. now. I feel as if my character is in a time bubble; doing things as if the last month never happened. Gating. I wholeheartedly agree. Which stories will I be missing out on? I am not sure, since Im just level 113 atm, can you clarify? The feeling weak at 120 must be caused by somehow the “item level you technically CAN obtain at that point.” Meaning, at 113, the highest I can get is like 230 (just an example). Where as on 120, I can only imagine what the item level I can obtain there is. And the further away I am from that, the more weak my character is. It’s not the best system at all. The weakness feeling comes more from stat weighting and mob scaling. Mob scaling is fine I personally have no issue with it as I like the feeling of things staying mostly relevant with me getting only incrementally more powerful. The problem really is noticible when your stat weighting does not keep you properly powered to cope with the mobs that are scaling to your current item level. An example , I will use arbitrary numbers here, at ilvl 225 with 24% haste I was able to take out mobs fast enough to offset the fact I wear leather and have lower health. At ilvl 335 the mobs have gotten tougher to balance with my item level but my haste is only 6%. This means I can no longer cast fast enough to deal the higher damage needed to take the mobs out before they deal significant damage to me. With higher item levels your relative power does go up incrementally but if your stat weighting is all wrong that power gain can be moot. This does not apply to the mobs as they scale in both power and resistance based on your item level with no loss in effectiveness due to stat weighting. I’ll be sure to target the WQs that give gear upgrades once I get to 120, so I won’t be walking around too weak! Thank you! Going with the higher item level is the way Blizzard intends it to work but because every class prioritises different stats this can change how well a specific piece works with your class. For the most part in general game play it won’t matter too much but if your are trying to get the most from your character for mythic+, raiding or PvP it can mean alot. If you are interested there are addons that can help determine which piece of gear is an upgrade for you. Pawn is great for having a visual reference and I generally recommend it to all players. It uses stat weights and is updated with general priorities for all classes and specs. If the item is an upgrade it will add a line to the bottom of the items tool tip stating what spec the upgrade suits and by what percent it is an upgrade. That addon alone should suffice most people and aid in gearing but If you wanted to take it further to get the most out of your gear for higher end content there is Ask Mr. Robot or SimulationCraft. Simulationcraft can be used to export strings to the Simulationcraft Program or Raidbots for detailed gear simulations whilst Ask Mr.Robot exports strings for use with it’s own website. All three Simulationcraft Program, Raidbots and Ask Mr. Robot can then generate new weights to further improve accuracy in Pawn.